Poured from a 12 oz can into my wheat beer glass. The color is very light straw/yellow. A large white head is poured, and settles quickly to a light covering. 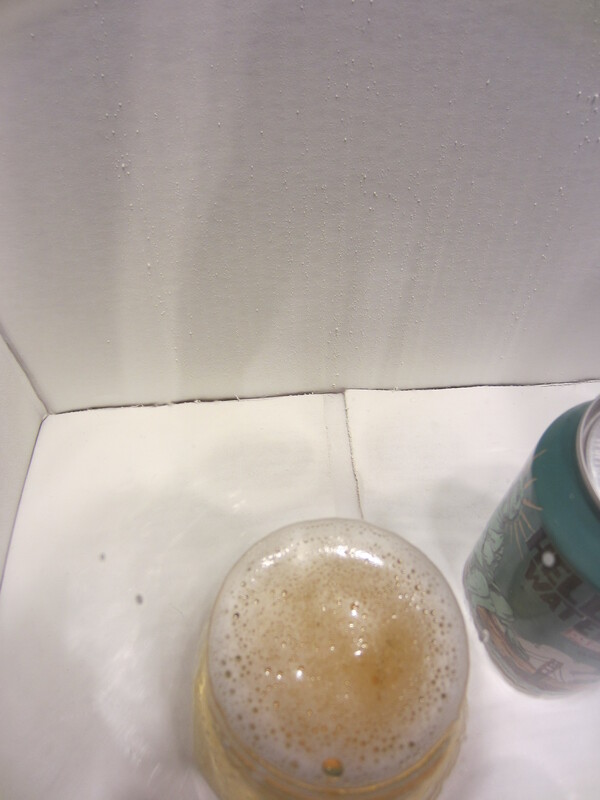 Ample carbonation is visible, and little lacing is left on the glass. Very typical wheat ale characteristics of grains and faint earthy hops, mixed with candy watermelon undertones. 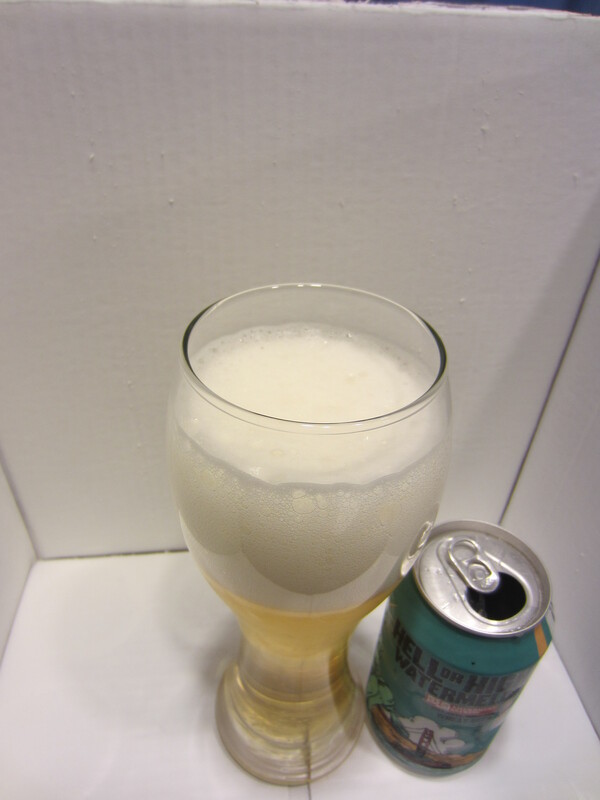 Medium-thin bodied and easy going down, with just a bit of carbonation harshness. 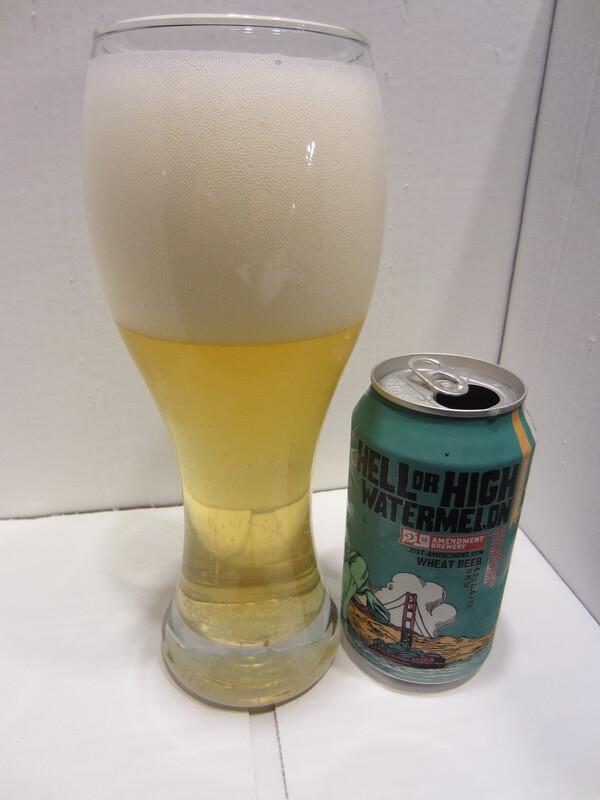 The initial flavor is a light run of faux watermelon on the tongue, followed by faint typical wheat beer characteristics. 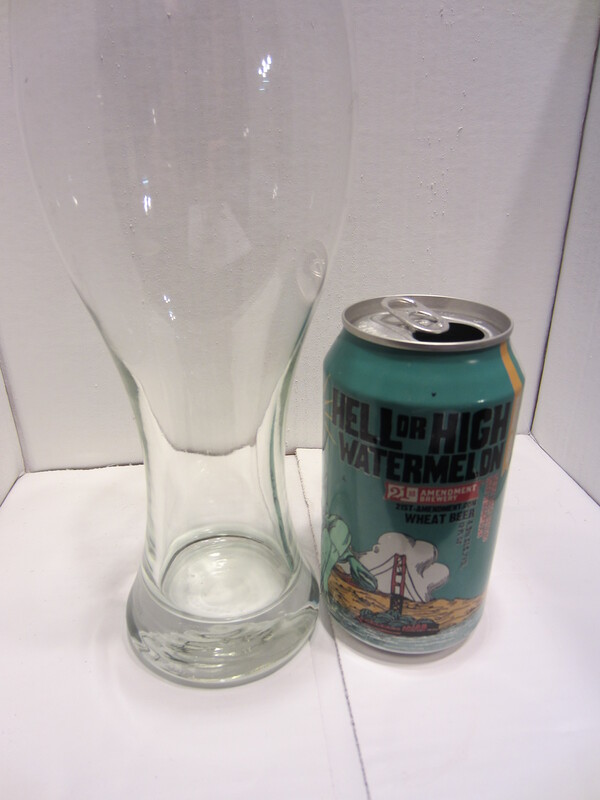 Hell or High Watermelon’s main strengths lie in its light mouthfeel, easy drinkabilty, and refreshing nature. This beer could easily be sessioned, if so desired. That being said, I found the flavor profile not really to my liking. 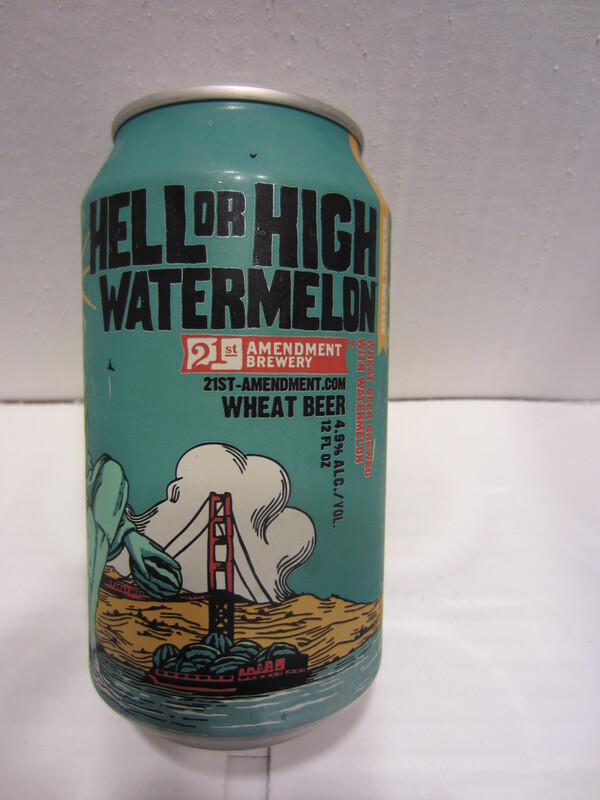 The brewery claims to use hundreds of pounds of fresh watermelon puree in a secondary fermentation, but the results create a very fake, Watermelon Jolly Rancher flavor which is prominent. Definitely a step up from a Watermelon Smirnoff Ice, but it just isn’t a very good craft beer. The actual wheat beer characteristics are okay, nothing standout for the style. 5/10. Gotta try it at 21st Amendment couple blocks from the stadium. I am not wheat fan but it is a beer I traditionally drink before I head to the game.